The Catalina Deluxe Edition Destination Series features 6 different floor plans that are engineered to maximize room, storage, and comfort. 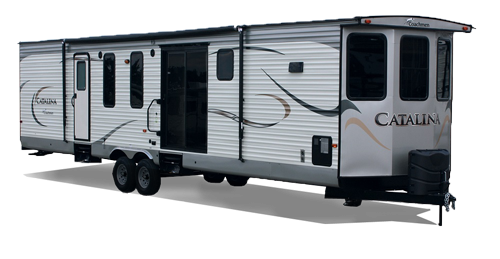 The Destination Series has also focused on upholding the quality that has made Coachmen famous over the years. These floorplans were specifically designed for campers that plan extended stays at their favorite locations.